I’ve read a few books lately as part of my research for my Steampunk travel zine that I have only been luke warm about: Around the World in 80 Days, The Other Log of Phileas Fogg and The Difference Engine. So you can imagine my utter joy at finding a book that I can’t say enough good things about, and that book is Phoenix Rising. This was a great, action-packed read. 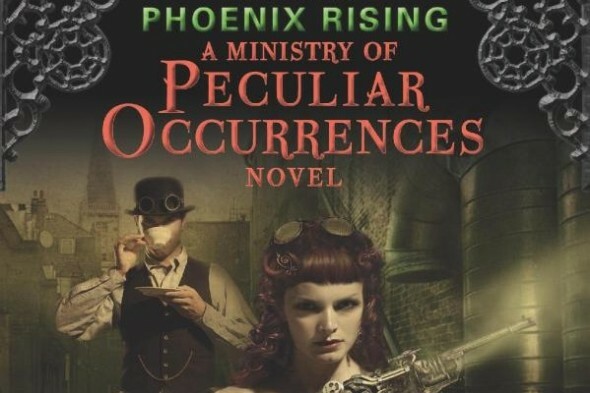 There is just the right mix of tension, both sexual and political, and awesome gadgets to satisfy your Steampunk needs. I thoroughly enjoyed the unfolding of the two main characters as they discovered each other, and I look forward to finding out more through their eyes in the next installment, The Janus Affair (check out the trailer below! ).